Drip irrigation is the most efficient method of irrigating. While sprinkler systems are around 75-85% efficient, drip systems typically are 90% or higher. What that means is much less wasted water! But Netafim drip irrigation has other benefits which make it useful almost anywhere. It is easy to install, easy to design, can be very inexpensive, and can reduce disease problems associated with high levels of moisture on some plants. Netafim Irrigation Unitechline Drip is used by farms, commercial greenhouses, and residential gardeners. Garden drip irrigation kits are increasingly popular for the homeowner and consist of a timer, hose and emitter. Hoses that are 4 mm in diameter are used to irrigate flower pots. Minimized fertiliser/nutrient loss due to localized application and reduced leaching. Levelling of the field not necessary. Fertigation can easily be included with minimal waste of fertilisers. In this time of water and resource conservation, Netafim drip irrigation makes sense. It is generally less expensive to install than conventional subsurface PVC systems and uses much less water. Water Conservation – Drip irrigation allows you an efficient watering by supplying water where it is needed – at the very roots of the plants. As a result, water is not wasted on leaves or soil. This significantly reduces the chances for evaporation and run off. Both are common with traditional irrigation systems where the water is often supplied at a rate greater than the soil can absorb it. 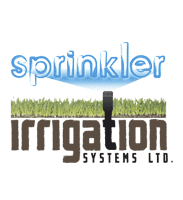 Reduce Weed Growth – When water is applied using a conventional sprinkler, everything gets wet. Since drip irrigation applies water to the root zone of your plants, the spaces in between plants remain dry. This greatly inhibits weed seed germination. If the soil remains dry, most seeds will not germinate. Landscape maintenance takes less time with drip irrigation. Reduce Plant Stress – When plants get deep, consistent watering, they thrive. Inefficient, shallow watering can contribute to plant stress. Promote healthy growth and disease resistance plants in your garden with drip. Extremely Flexible Application – You have many options with drip irrigation tubing, fittings, and emitters. It is a versatile watering system which can easily be installed on hillsides or flat terrains. Drip is the perfect irrigation method for oddly shaped landscapes and windy areas. Existing sprinkler systems can be retrofit with drip irrigation with very little effort. Save Money – Once a drip irrigation system is installed, you will use less water to irrigate. If you are on a well, you will notice a severe drop in your pumping costs. You will no longer need to hand watering your garden. Automate you system with an irrigation controller and eliminate the need to pay someone to while are on vacation. With the reduction of plant disease and unwanted weeds, your gardening labour and maintenance costs will also drop considerably. 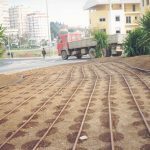 On-surface and sub-surface installations of long lines (due to low local head loss coefficient). Slopes and high wind areas. Where sprinklers could cause a tripping hazard. Turf and sports-turf, shrubs, trees.